A beautiful catchphrase to kickstart a magical transformation. Swirls of colored light burst forth from the sun-shaped jewel, enveloping a fairytale princess and her flying unicorn, giving them the power necessary to keep a magical kingdom safe from evil. 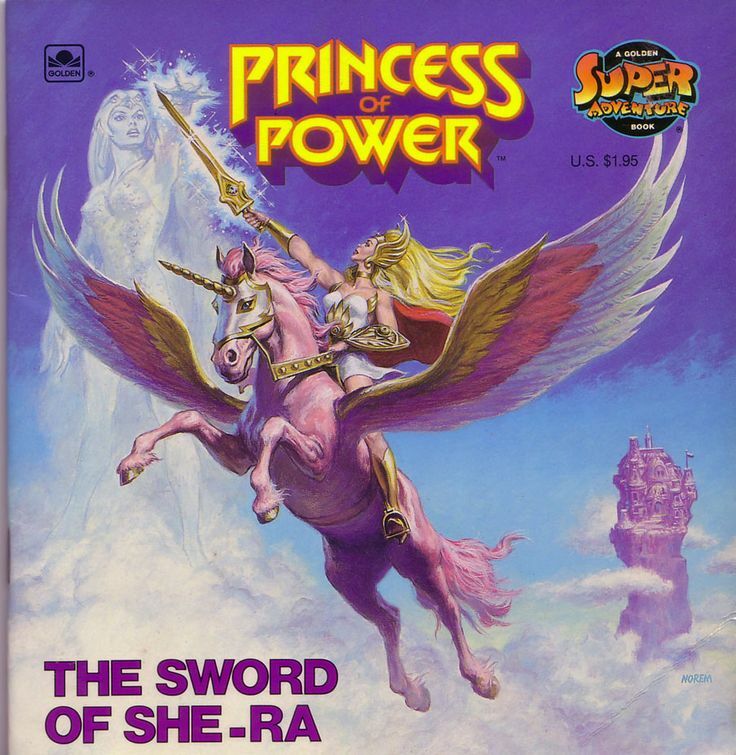 But a decade earlier, another magical princess would hold aloft a jewel (albeit one inside a sword), chant her transformation catchphrase, and keep her own planet safe with the help of fabulous secret powers and a flying unicorn of her own. 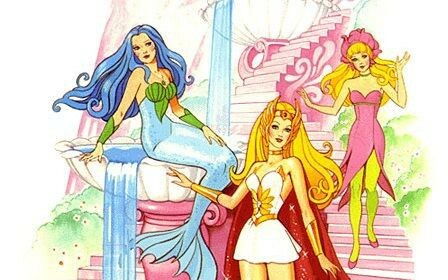 If you couldn’t tell, we’re taking a look at the similarities between Princess Gwenevere and the Jewel Riders and the 1986 Filmation animated series She Ra: Princess of Power. 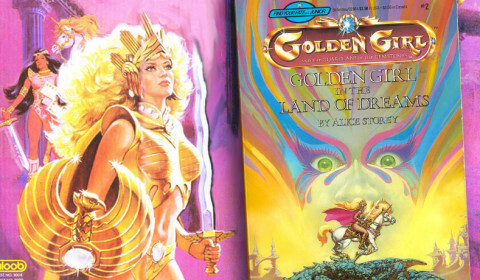 But before we get to She-Ra, a little history. In 1982, Mattel released a boys action-figure line under the name “Masters of the Universe.” MOTU was a breakthrough in action figure design, relying not on the 12-inch GI-Joe/Barbie size or the 3 ¾ inch size that Kenner had popularized with their Star Wars toys in the late 70s. 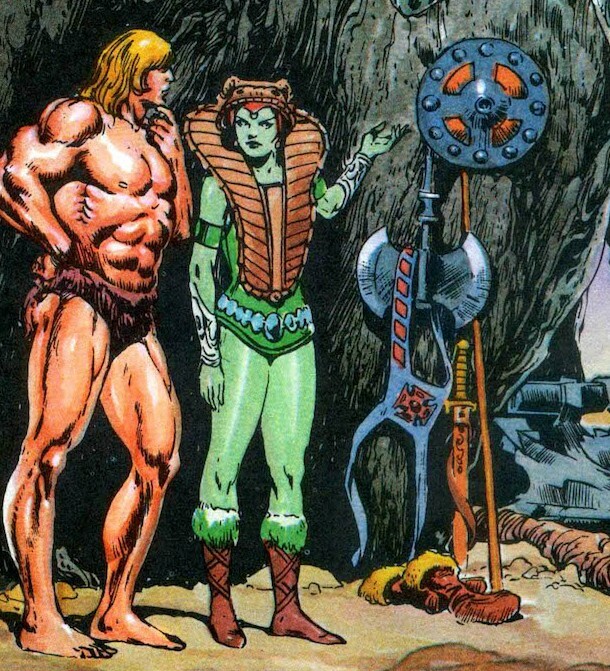 MOTU figures were 5-6 inches in height, with molded costumes and accessories. 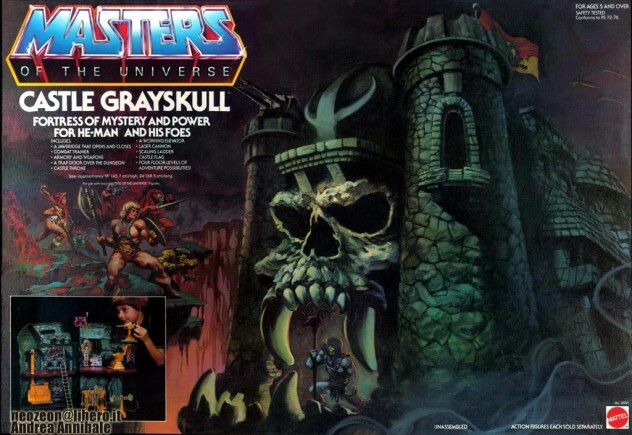 While Masters of the Universe as a brand now includes everything but the kitchen sink, the original concept was a Conan-esque barbarian named “He-Man” being gifted magical armor and weapons from a green-skinned goddess and going off to do battle with the evil skull-faced demon Skeletor and his minions for control of the magical secrets hidden inside the fortress of Castle Grayskull. 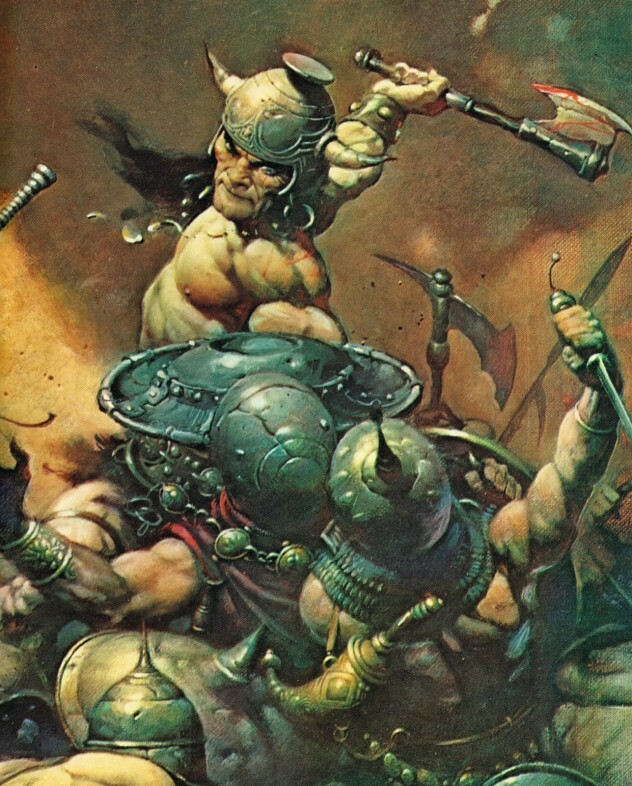 There are direct inspirations from the work of Frank Frazetta, the illustrator who is possibly best known for his work related to Conan the Barbarian. Conan, however, lives in a world that was popular in the era of violent pulp adventure serials, where shock value was king. It all sounds a bit grim for children’s entertainment, doesn’t it? This is important, because this was the version of Masters of the Universe that bore She-Ra. Lou Scheimer, the head of Filmation animation studio, and the people under him had a much larger hand in developing She-Ra than He-Man, and it shows. She-Ra and her world were introduced to our planet in the 1986 feature film “The Secret of the Sword.” In the film, He-Man discovers his long-lost twin sister Adora is alive and working for the Evil Horde to conquer the planet Etheria. With the help of the Sorceress, He-Man takes the Sword of Protection to Etheria and frees Adora from Hordak, leader of the Evil Horde, allowing her to take up the mantle of She-Ra! 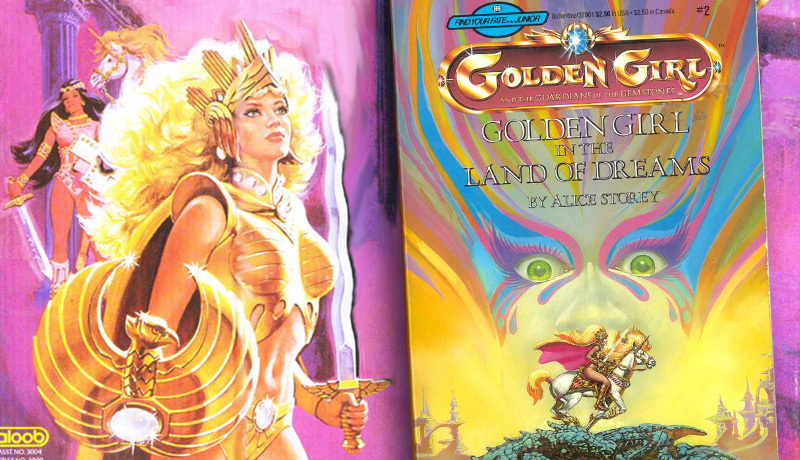 Etheria is set up as a storybook fantasy world, twin planet to He-Man’s Eternia. By putting Etheria under the brutal rule of the evil Horde Empire, the positioning of She-Ra and her friends in the Great Rebellion allowed for a greater depth of storytelling. It gave She-Ra a more righteous cause to champion, and set the Rebellion up against big odds that keep you rooting for the underdog. We were delighted to meet Zadoc Angell last year at Power-Con. Zadoc is one of the original owners (along with James Eatock, aka Bustatoons, who is basically the guru on all things Masters of the Universe) of “The He-Man and She-Ra Episode Guide” (a predecessor to what eventually became He-Man.org), and we asked him to help describe He-Man and She-Ra and provide some insight on the Princess of Power. 2) Male vs. 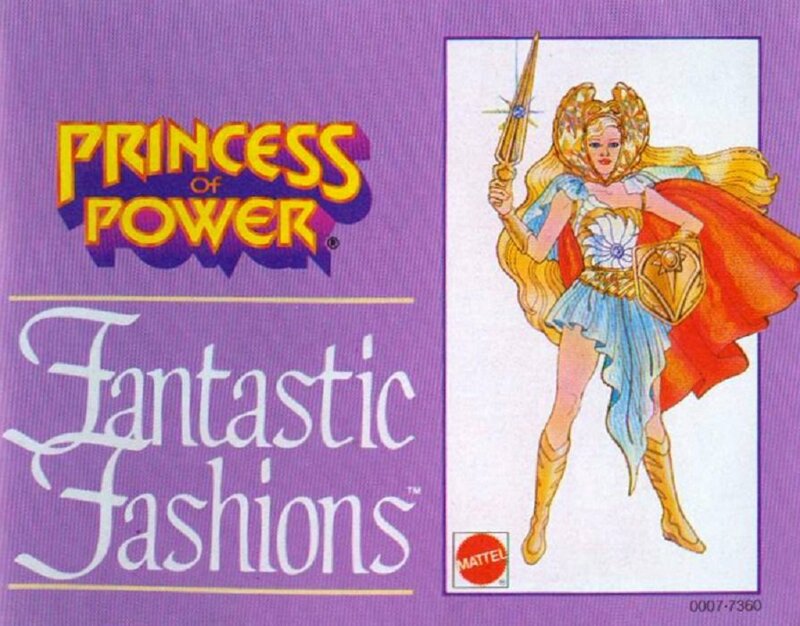 Female – while “She-Ra Princess of Power” was created by Mattel to be the feminine opposite of the He-Man universe, it’s not quite a perfect inversion. On Eternia, the Heroic Warriors featured very few female characters, but the ones who emerged – Teela, The Sorceress, and to a lesser extent, Queen Marlena – were headstrong lead characters who defined their series. 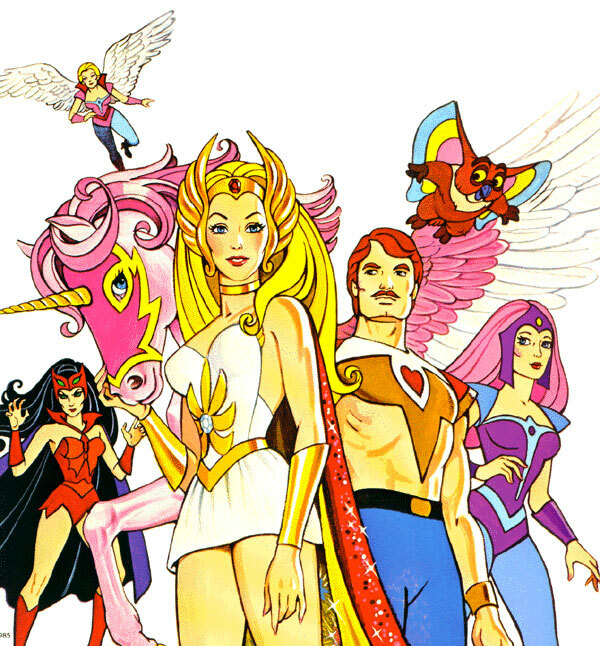 On Etheria, the male rebels were far weaker, less essential characters to their female comrades, as evidenced by Bow (weak, almost asexual lead), Kowl (frustrated, funny male owl), Broom (comedic relief), and Sea Hawk (hot romantic foil, but appeared in relatively few episodes and is guilty of absenteeism from Adora’s life). The villains on Eternia and Etheria were remarkably more similar in their gender make up than our heroes’ demographic makeup. 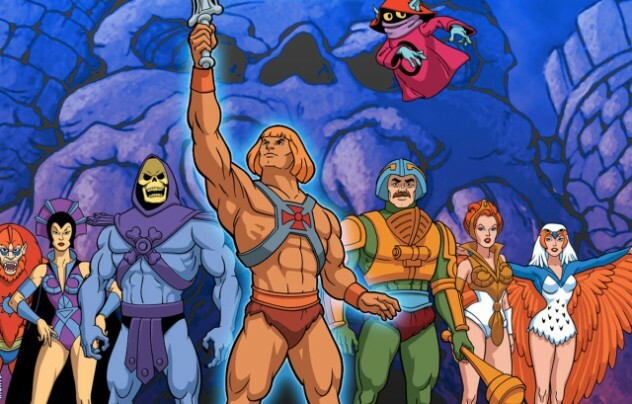 Both the Evil Warriors and the Evil Horde were lead by strong male antagonists (Skeletor, Hordak), their witch-like second-in-commands with dreams of mutiny (Evil-Lyn, Shadow Weaver), and a host of rainbow-colored henchmen who vacillated between menacing evildoers and comedic relief scoundrels. The Evil Horde, however, boasted a few more female characters (Catra, Scorpia, Octavia, Entrapa) than Skeletor’s crew – he employed only one female cohort, Evil-Lyn, which is just embarrassing in the age of #metoo today! Women can be evil, too, damnit! 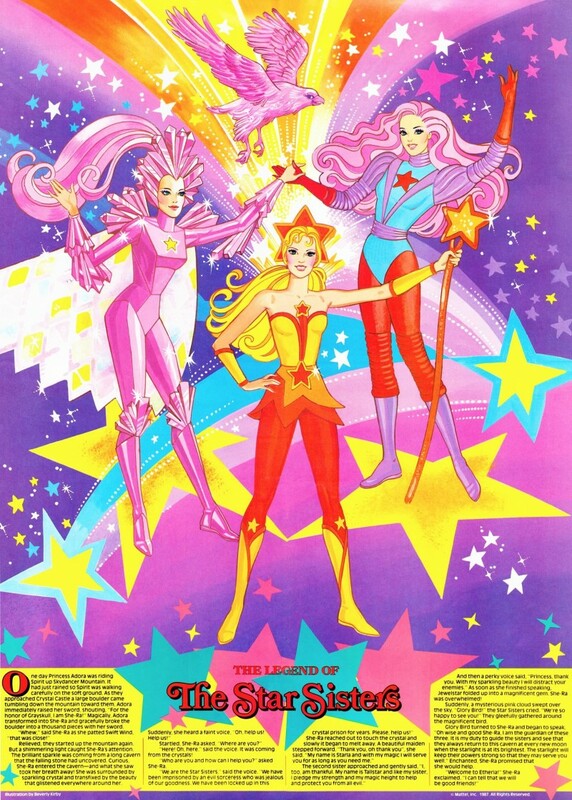 She-Ra and her friends are some of the earliest American magical girls, alongside characters like Rainbow Brite and Jem and the Holograms. 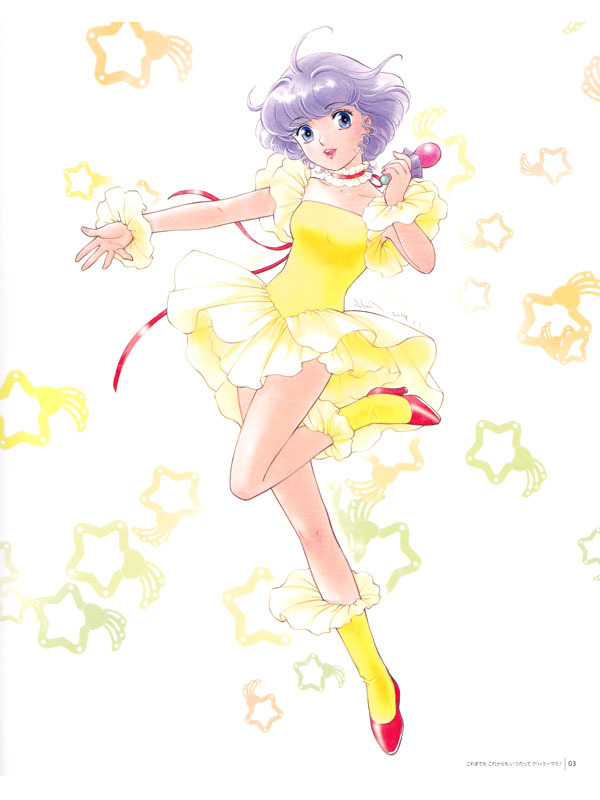 (I dare you to tell me that Jem, with her advanced holographic fairy godmother Synergy, is not basically an American version of the Japanese magical idol shows of the 70s and 80s like Magical Angel Creamy Mami, Magical Star Magical Emi, and Magic Idol Fancy Lala). 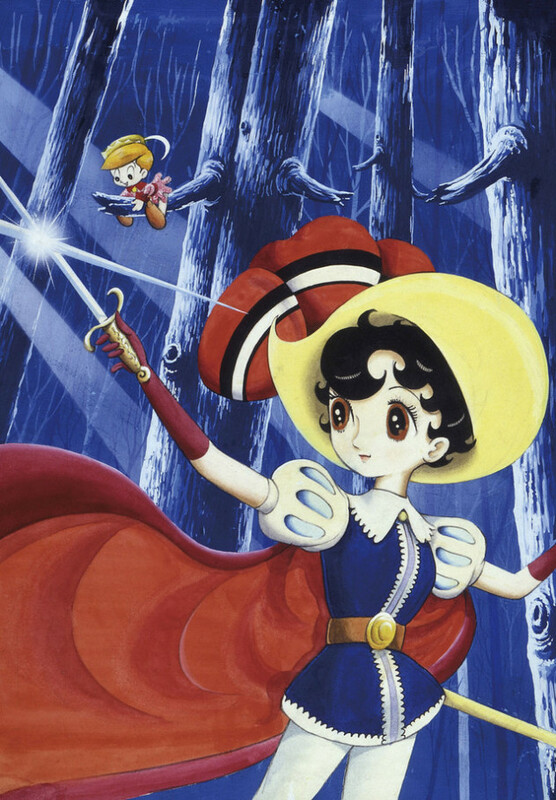 Japan has a long history of magical girl characters, with shows and comics like Princess Knight, Himitsu no Akko-chan, and Sally the Witch. But outside of shows like Go Nagai’s Cutey Honey, the 70s didn’t have much in terms of Magic Action Girls. 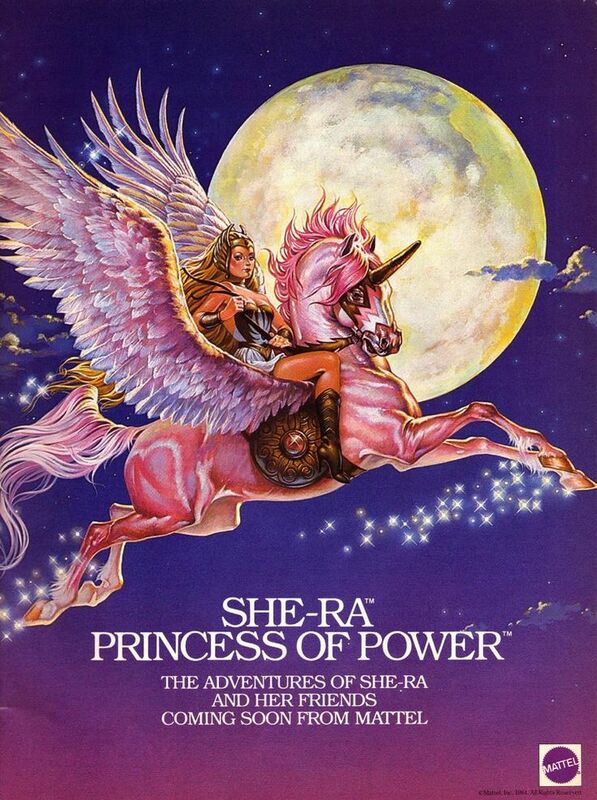 In essence, She-Ra kicked off her sub-genre. Especially the Western arm of it. 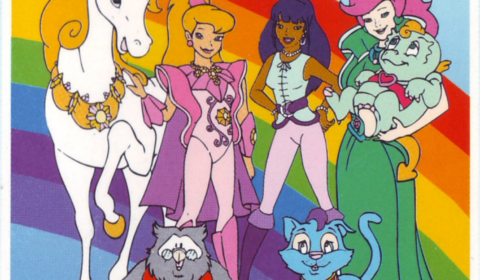 She-Ra contains so many of the typical magical girl necessities: transformation sequence, jeweled weapon that can change shape, flying unicorn, magic advisors like Light Hope, Kowl and Madame Razz, and color-coded special-power friends like Frosta, Perfuma, and Mermista. Despite the presence of the Horde, She-Ra often has a very storybook fairytale quality to it. This is evident in much of the art produced for product packaging and other materials. 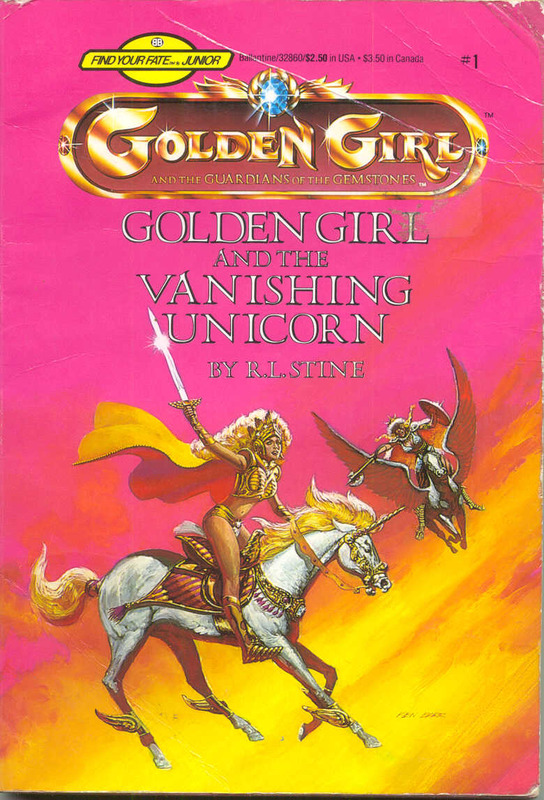 While Jewel Riders pulled from many sources (such as the Arthurian myths and Anne McCaffrey’s Dragonriders of Pern) in its development, and there are fingerprints of many different magical girl shows in its DNA, I think it’s worth noting there are more than a few idle similarities between She-Ra and Gwen. 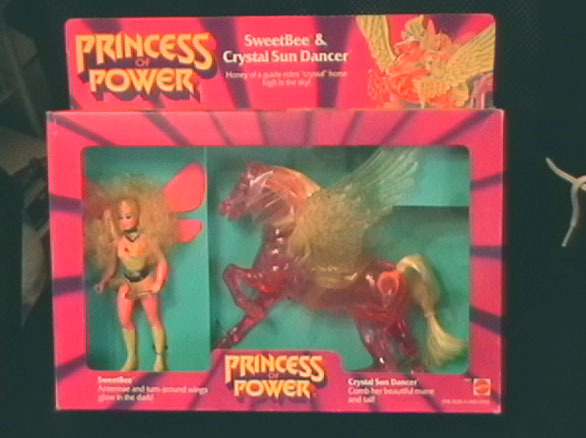 Just from a visual standpoint, they’re both blonde princesses who magically transform (into outfits with winged headdresses), ride their flying unicorns into battle (Swiftwind and Sunstar), have talking owl advisers (Kowl and Archie), and red-and-black themed villainesses (Catra and Kale). They even both have non-corporeal magical advisers in Light Hope and Merlin, and both feature evil witches who work one-step above the villainesses of the week (Shadow Weaver and Morgana). 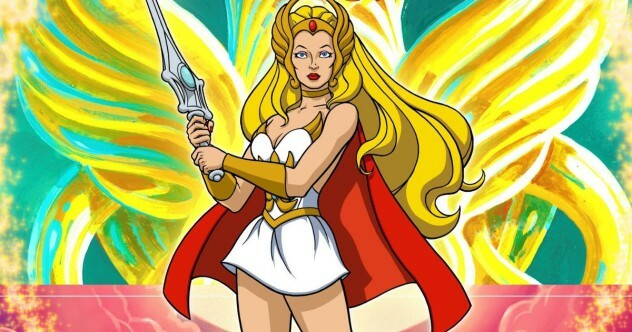 She-Ra has a special connection with animals, and the ability to communicate telepathically with them. This is directly reflected in Tamara’s abilities with the Heart Stone. An interesting link between the properties is in the name of the main palaces for each show. In She-Ra, she defends the Crystal Castle, a palace high on Skydancer Mountain, a repository of knowledge of the First Ones, the founders of the planet Etheria. 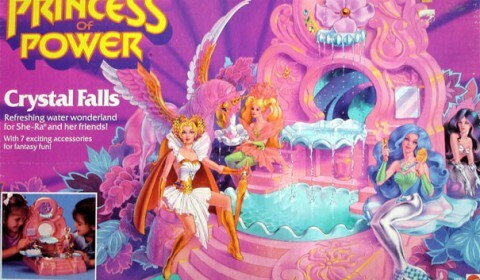 In Jewel Riders, the girls defend the Crystal Palace, a huge enchanted jewel that radiates good magic over the land of Avalon and serves as the capital of the land. 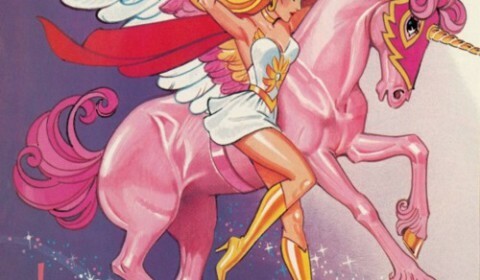 I think one of the areas that Jewel Riders really pays homage to She-Ra is in the design of its toys. 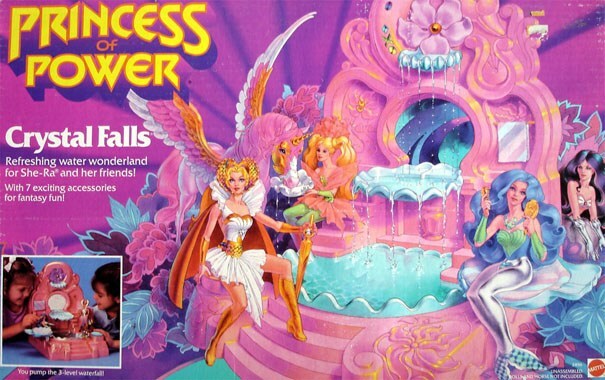 Though each property was made by arch rivals Mattel and Hasbro/Kenner, Jewel Riders uses the “action doll” format pioneered by lines like She-Ra: Princess of Power, Galaxie Girl, and Golden Girl and the Guardians of the Gemstones. I tend to mentally separate action dolls from standard fashion dolls and action figures. This isn’t because of some attempt to make them more gender-neutral or anything, but because they really are more a hybrid of both styles. 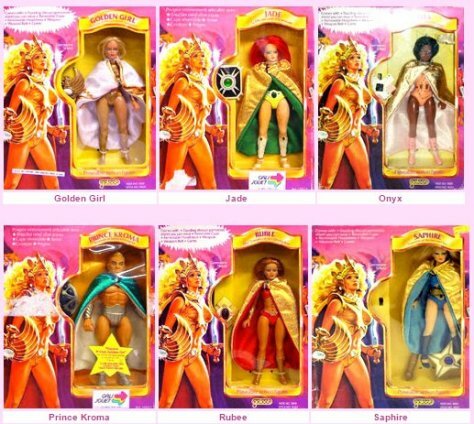 Action dolls feature the combination of action figures’ molded-on outfits, action features and smaller scale with fashion dolls’ rooted brushable hair, and often a handful of cloth/clothing pieces used to soften the overall image of the toy. The action doll concept is not a particularly common format, though it has turned up some interesting places over the last two decades, most recently with the wonderful Star Wars: Forces of Destiny dolls. 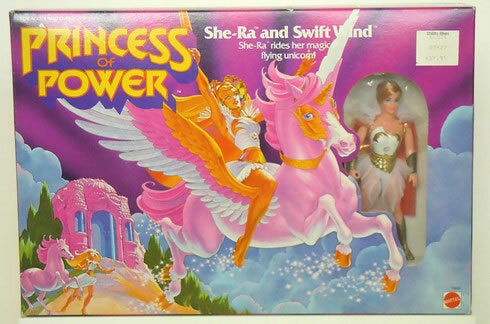 Both Jewel Riders and She-Ra’s doll lines also feature unicorn mounts for their characters, with the main lead getting a winged unicorn. 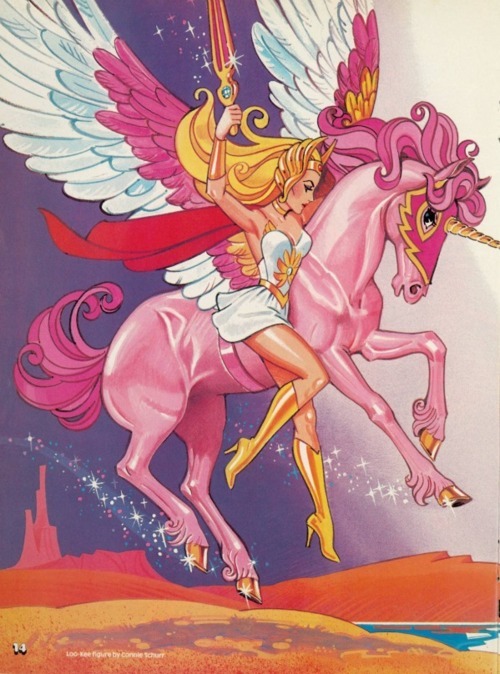 On a slightly humorous note, while in PGJR the secondary characters only get plain unicorns, in She-Ra the secondary characters only get plain winged horses. Apparently nobody wants a regular old horse. 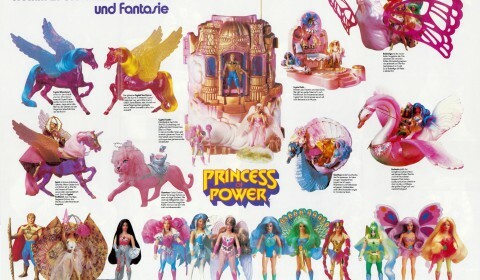 Of note, She-Ra’s horse mold went on to be utilized for Tenko and the Guardians of the Magic’s Pearl Rider, and Jewel Riders’ horses are reused molds from the Fashion Star Fillies line. So apparently nobody wants to invest in a show-specific horse mold either. 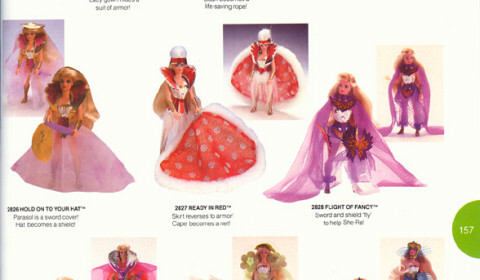 One thing that the She-Ra toys got that Jewel Riders never had were the “Fantastic Fashions.” These were cloth outfits that went over the molded plastic outfits. You could then change looks for the characters without having to buy a whole new figure, a concept carried over from fashion dolls like Barbie and even paper dolls. 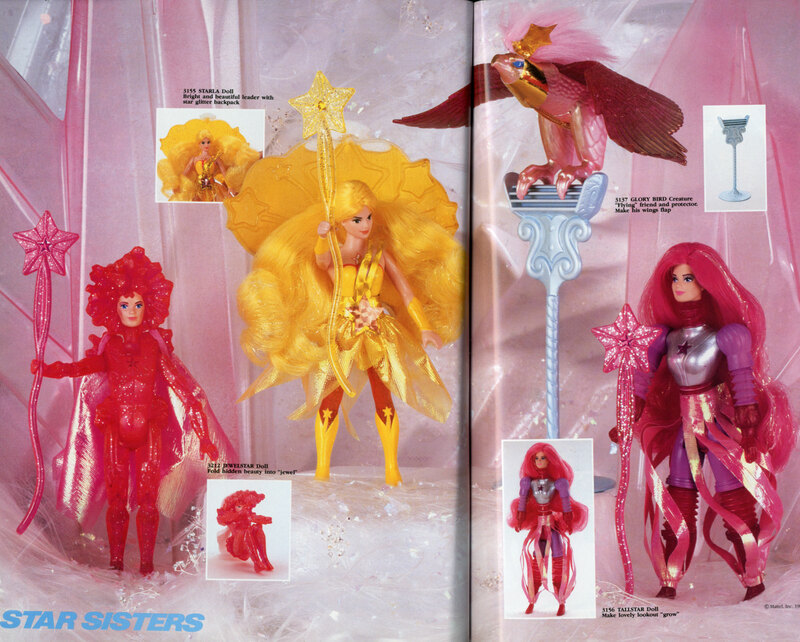 The closest the Jewel Riders really ever came to this were in the Deluxe Jewel Adventure dolls, where the whole dress is removable, and overtop a molded bodysuit. 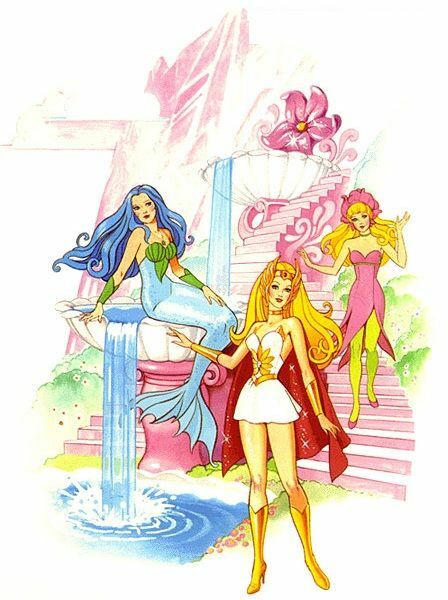 You could theoretically switch the dresses, but of course the color palettes are very character specific (see Greg Autore interview for more about this), and the clashing colors would look jarring together. 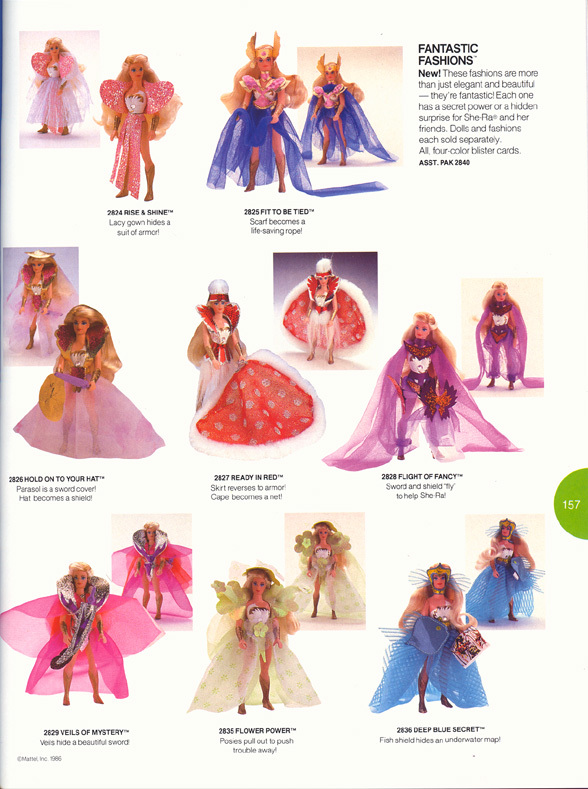 One does wish that a few of the extra dresses from Jewel Riders (say, the outfits the girls wear in “Love Struck”) had been released as standalone fashions. 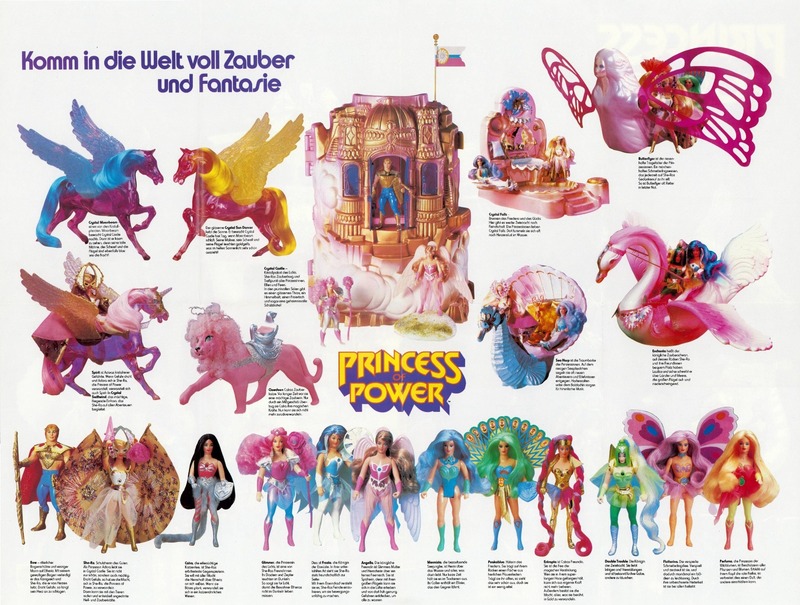 Of course, we can’t talk about She-Ra and Jewel Riders’ connections without also mentioning the old comparison page from the 90s. We are hardly the first people to notice the threads that run between these two properties. Stormy linked this webpage from the old Avalon site, and it is still viewable in all its nascent internet glory. 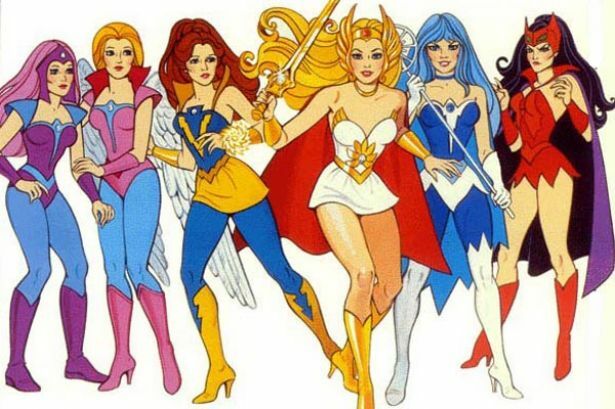 She-Ra has cast a long shadow over the world of girls’ fantasy adventure cartoons. Everything from Jewel Riders and Tenko to LoliRock and Mysticons owes something to the Princess of Power. She-Ra has not been forgotten either. 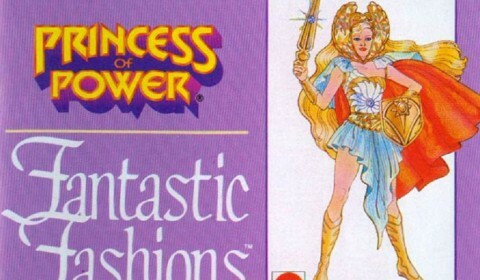 The folks over at He-man.org have lots of information about his twin sister, and she is prominently featured in the marketing and advertisement of Power-Con, the annual He-Man and She-Ra Convention in Southern California. 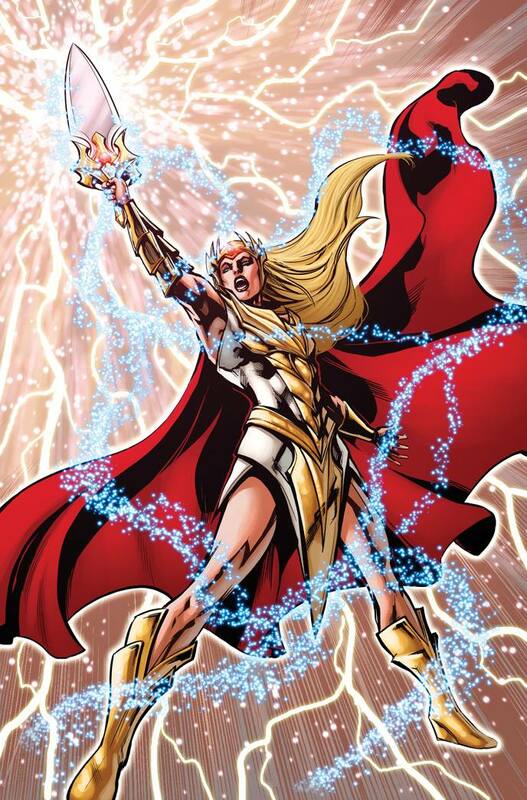 She has also made regular appearances in the Masters of the Universe comic book from DC Comics. 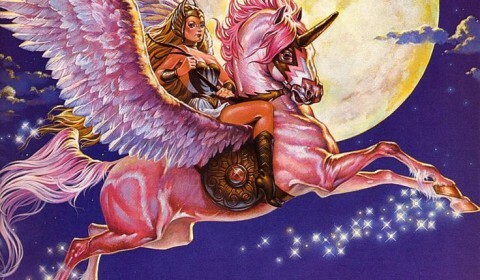 “As time goes on, the legacy of She-Ra only becomes more powerful and important. 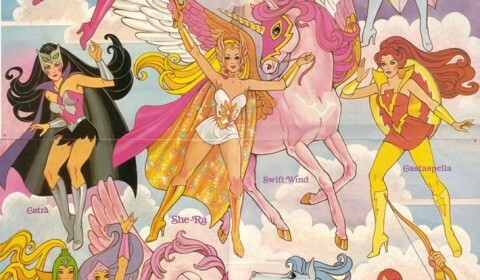 While Wonder Woman and Isis predate her, there were relatively few female superheroes before She-Ra, and, in hindsight, She-Ra was well ahead of her time for 1985. How important it was (and is today!) that girls could see themselves as the heroes in their own stories, able to achieve their dreams and fight enemies without the help of men swooping in to save them. While the “He-Man and She-Ra Christmas Special” was, sadly, a poorly written exercise in commercialism, one of my favorite scenes in it is when Skeletor and his henchman have grabbed He-Man using one of the arms of the Collector, and She-Ra is the one to fly in and save her brother, right in front of Skeletor. What a small but important moment for little sisters of the 80s (and their brothers) to watch the most powerful man in the universe rendered helpless and become totally reliant on a woman to save him. Boys need to see this! 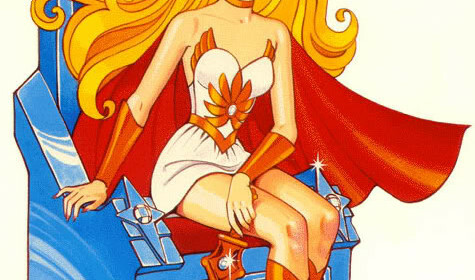 I think one of the less talked about aspects of She-Ra’s character is her lack of need for men to define her. While Adora certainly seems open to romance, especially with Sea Hawk, she does not seem possessed by the need to find a man at all to fulfill her happiness. If anything, her casual romance with Sea Hawk indicates an “if-it-happens-it-happens” kind of attitude that feels remarkably progressive. It’s almost as it’s up to Sea Hawk to get his act together in order to win over Adora! 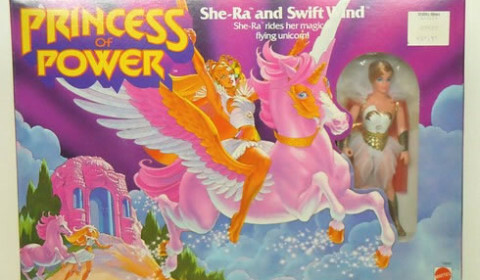 The She-Ra/Adora example stands in stark contrast to girl toys of the age like Barbie, who feels almost totally defined by her romantic pursuit of Ken (how boring!). Most interesting, I think, is that while the long-delayed He-Man movie has struggled for years to find a director and a script, 2018 is bringing back She-Ra as a Netflix Original animated series! 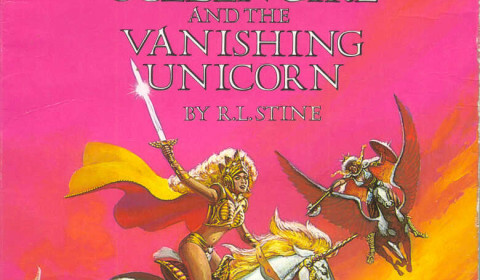 Word leaked late last year that Dreamworks Animation (the current owners of the Masters of the Universe family of brands due to their acquisition of Classic Media) was rebooting She-Ra with comic creator Noelle Stevenson (Nimona, Lumberjanes) as the creative lead. 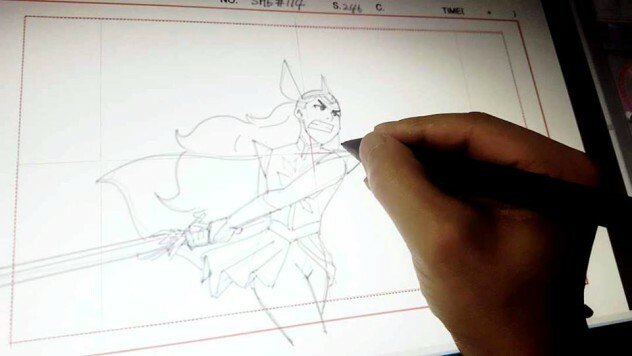 We here at the Archive are so excited to see what’s next for She-Ra. She was an amazing icon of the 80s, and continues to inspire girls and boys everywhere. 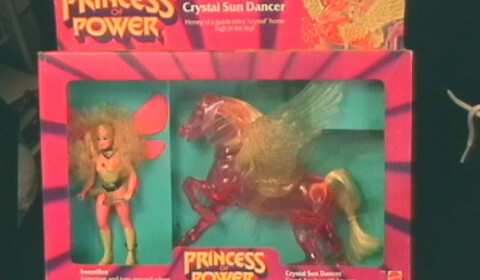 Princess of Power, like Jewel Riders, resonates so strongly with audiences by cleverly using and twisting fairy tale motifs. Princesses, princes, knights, Kings, Queens, castles, forests, unicorns, mermaids, magic, witches, wizards, dragons. These form the base for so many wonderful tales, old and new. 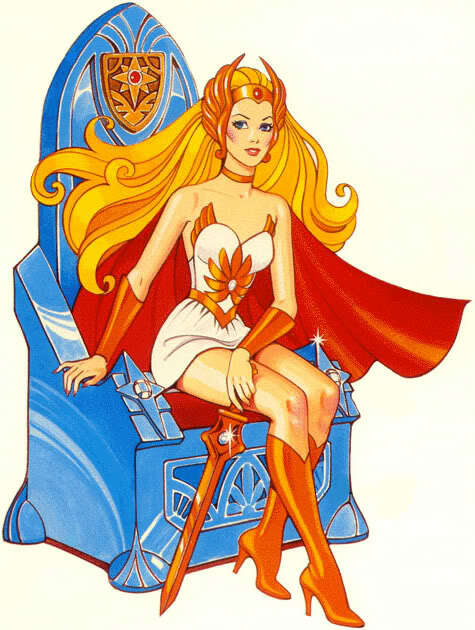 She-Ra used them to great effect to tell interesting, personal stories of a Princess who led a Great Rebellion and fought for justice. We love that she inspired a legacy of warrior princesses traceable even to today, and are proud that Jewel Riders stands tall as her direct descendant. 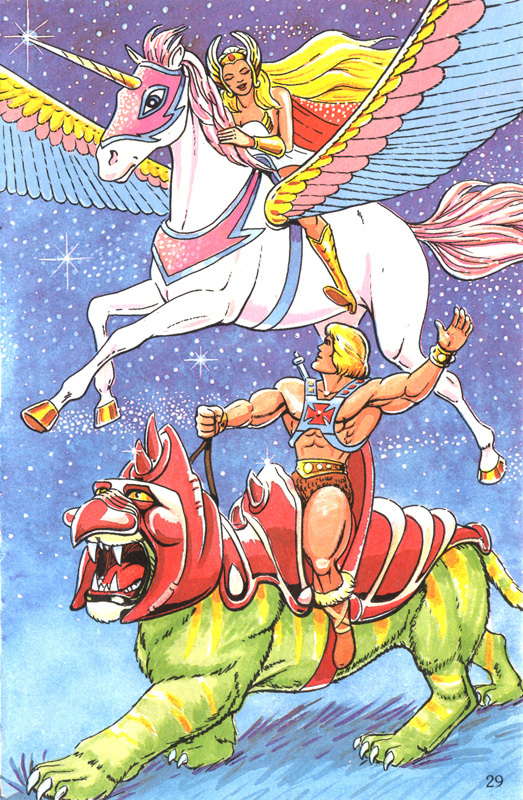 On a personal note, I (Chris) am a latecomer to She-Ra and He-Man, having not watched them during childhood. I didn’t watch the entire show until 2010, when it had been released on DVD. 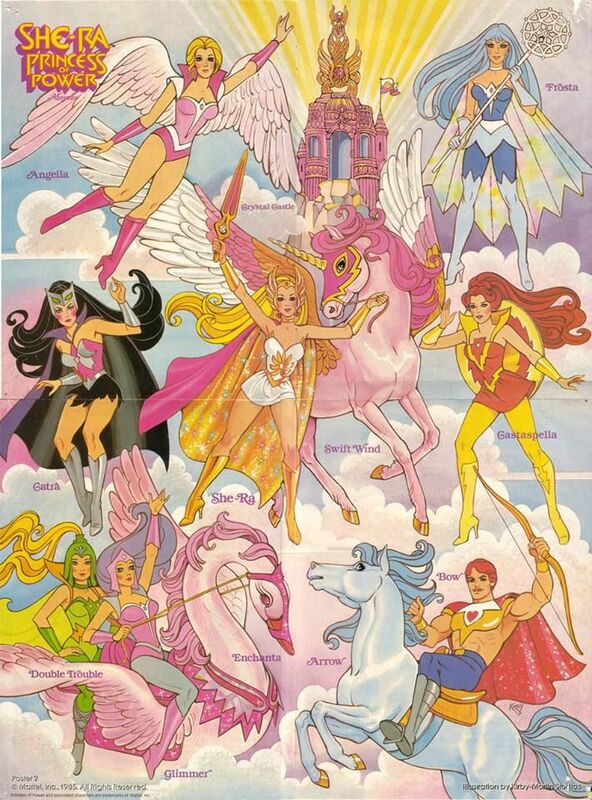 I so wish I had been able to experience these stories as a kid – I would have lapped up She-Ra and her magical posse of friends and allies. 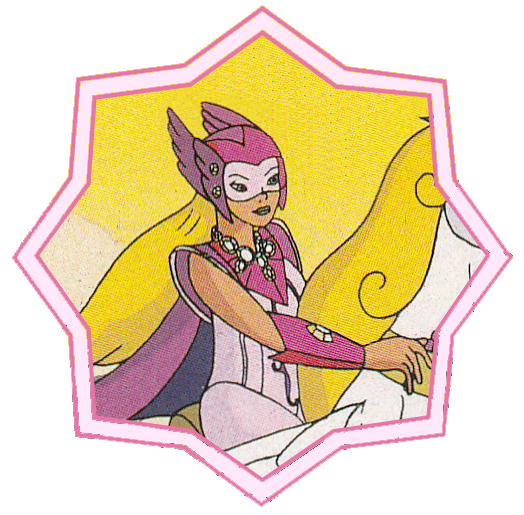 But in some ways, not seeing She-Ra primed me to receive Gwen with open arms, having never seen anything like it. And for that I am glad. 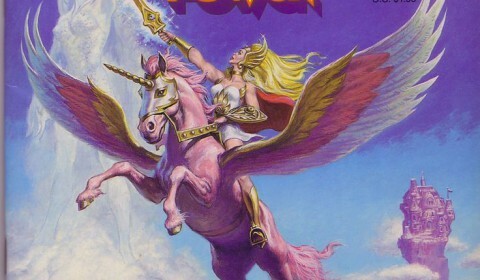 Still, if you enjoy Gwen and don’t mind a little bit of 80s cartoon cheese, She-Ra is a great action magical girl show!